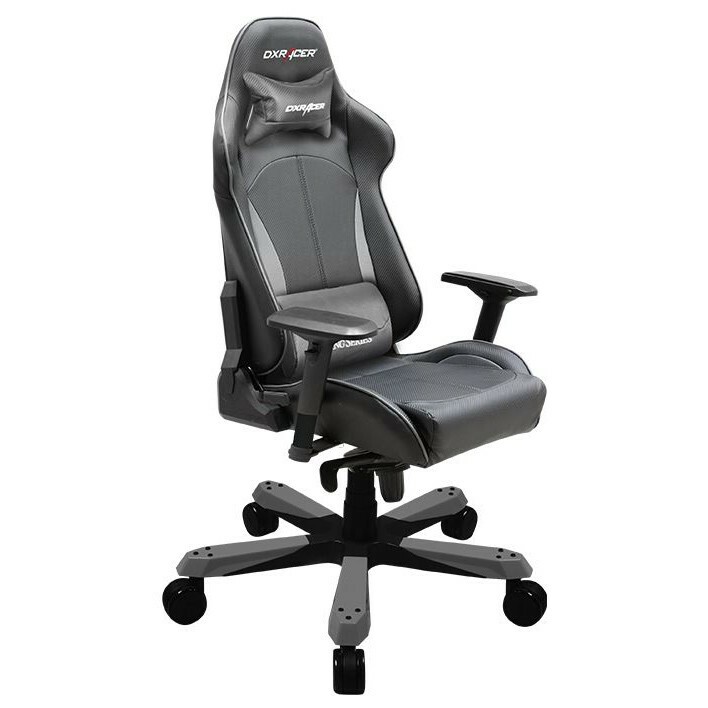 Although the DXRacer is sold as a Racing chair, it’s really a Gaming Throne and one of the most impressive “office” chairs I’ve ever used. We first saw the DXRacer during our visit to PAX in Melbourne almost a year ago. Cooler Master had a white F-Series model at their booth and it generated some serious interest and discussion. We sat in it at the time and thought it was the best execution of the gaming chair concept we had ever seen. 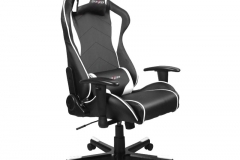 After using a King Series version for 2 months, I still consider the DXRacer to be the ultimate in PC gaming chairs. In terms of ergonomics, the King series is great. There is both a lumbar cushion that you can adjust vertically and a head cushion. The head cushion isn’t height adjustable but you can choose to either use it or not. I chose not to use it because of my height and found it to be less than comfortable but the lumbar support was the hero of the chair in this regard. The arm rests move up/down, back/forth, rotate and also move laterally (wider/narrower) making them the sort of thing I’d expect on a very high-end office chair. In terms of seat position, there is a hydraulic lifter with lever and the seat can rock back and forth or be locked in place. One of the most impressive features was the recline capability in that there is a recline lever as per a car seat. In a test that seemed to defy physics (and common sense), we reclined the King Series chair to be flat and had a 100+kg bloke basically lie down in it without the chair tipping backwards. It just looked wrong for so many reasons but the centre of gravity, the base and the construction of the chair all worked as advertised. I liked the “PU leather” and found the density of the seat padding to be just right and not unlike a car seat. The surface is easy to keep clean. I wouldn’t expect it to discolour and it should wear well in the future. There are many colours and I’ve been fortunate enough to see most of them in person. I like the look of the white trim but worry about how it might look after a year with dirt and wear. The blue, red, orange and green also look pretty good but these need to suit your environment really. Black will be a little plain for many but the carbon grey would be my pick of the bunch. 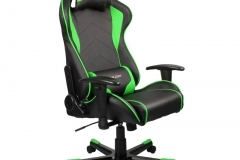 Some of the colour options are in the gallery below, the range includes the King and F series of chairs, note that there are also different options available in the stitching patters as well. Whilst not a fault, we did see some inconsistency in the wheel bases between a pair of King Series chairs in that one had a black base and our review sample had a chrome/polished base. Both looked fine but it’s worth mentioning that there appears to subtle differences between the batches. The King Series is the top of the line but that doesn’t make it necessarily the “best” for everyone. If you are on the smaller side of average, the ‘F’ series with smaller wheels and smaller frame might be the better option in terms of comfort but it’s rated at 120kg. The ‘F’ series is also easier on the wallet. We saw people of all shapes and sizes test out the chairs at RESPAWN LAN with many of the smaller people preferring the way the F series felt. The DX Racer isn’t just for people who play racing games either, if you play flight or space simulators, the style of the chair is also likely to add to the immersion as well. 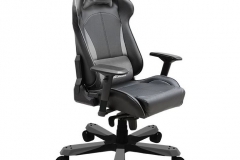 In my testing of the DX Racer King Series, I replaced my home-office chair with the review sample and found it to be really comfortable for long stints at the workstation. It is a heavier chair than average and can take a little more effort to move the larger castors around on carpet but this isn’t necessarily a bad thing as the chair stays in place. This chair has the highest back of any chair I’ve used and it can be imposing in a small room but it sure makes a difference for comfort. The high back can take a little getting used to and the upper profile can interfere with rearward peripheral vision. I also found that my posture was better in the DX Racer King Series than the not inexpensive office chair that I typically use. 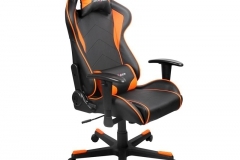 Although breaking the theme, First Person Shooters and Real-time Strategy titles were also more enjoyable sitting in the DXRacer due to the ergonomics and comfort factor despite the gaming throne not really adding to the ambience. The build quality of our review sample was excellent and I didn’t notice any creaking, squeaking or manufacturing flaws when using it. The King series is rated at 180Kg and has larger castors than the ‘F’ series. There is nice attention to detail with the colour matched treads on the wheel base, coloured inserts and consistently neat stitching. The padding also feels quite firm but still comfortable. The 5 axis adjustments of the arm rests, solid gas lift and tilt mechanisms all have a premium feel to them. The use of large bolts with Allen key heads really caps off the build quality. This is easily the most solid chair I’ve ever used. There are plastic covers for the side hinges that can be removed for easy cleaning of dust etc that might accumulate over time. In the event that some WD40 is required in a few years’ time, whipping the covers off to apply some lubricant and give the chair a clean would be a 5 minute job. Assembly is easy and I saw 4 of these chairs put together very quickly at RESPAWN LAN in June this year. The bolts are in place for shipping, not in a bag. You remove them to insert the relevant parts, then put them straight back in with the Allen key. It doesn’t get much easier. 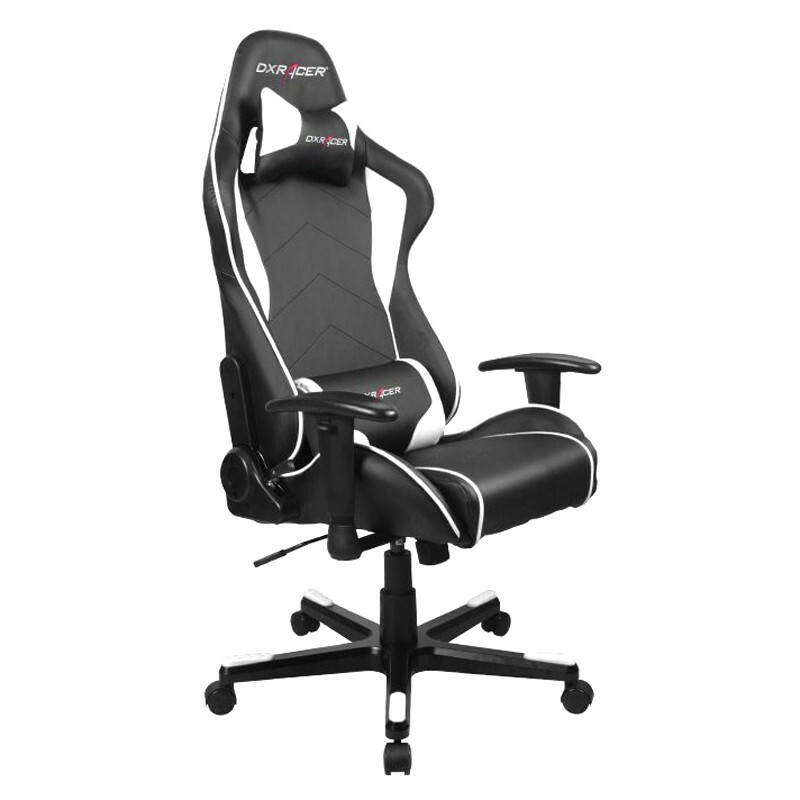 Gamers will be looking at around $470 for the King series but there are other DXRacer options priced as low as $349. It’s a lot of money but for what you get, I don’t consider the chair expensive and think the pricing is actually pretty good for the consumer – for this reason I haven’t listed it as a ‘con’ in the conclusion. 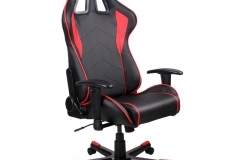 Does the DXRacer King Series make me a better gamer? I’m going to go out on a limb here and say that it helps and probably yes it does. 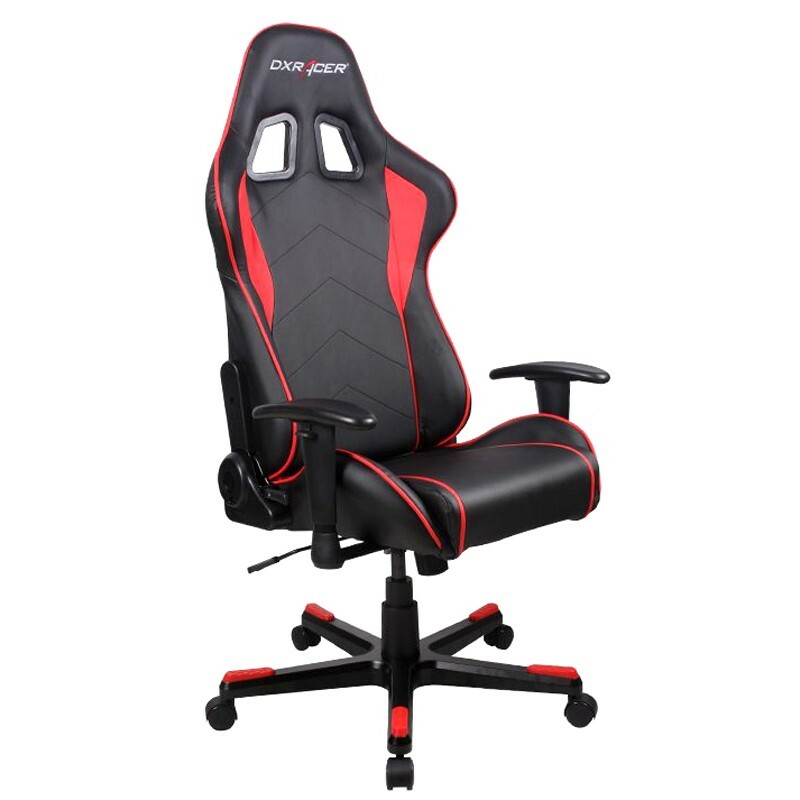 I’m certainly more comfortable and relaxed in the DXRacer, my posture is better and as a result, I think my results have been more consistent over longer periods of sustained gaming. The lumbar support is easy to adjust and I’d consider it essential but the head/neck pillow cushion lasted about 3 days before I ditched it. Other (shorter) people really liked it but I found it less than comfortable despite it looking pretty neat aesthetically. Having gone through a series of office chairs over the years, the DXRacer is my favourite in terms of both comfort and appearance – no doubt. My current office chair is a high end unit that was discarded by a neighbouring business during a relocation. When purchased, that chair would have cost about the same as a King Series DXRacer and although very ergonomic, it is nowhere near as awesome to sit in as the King Series review sample. 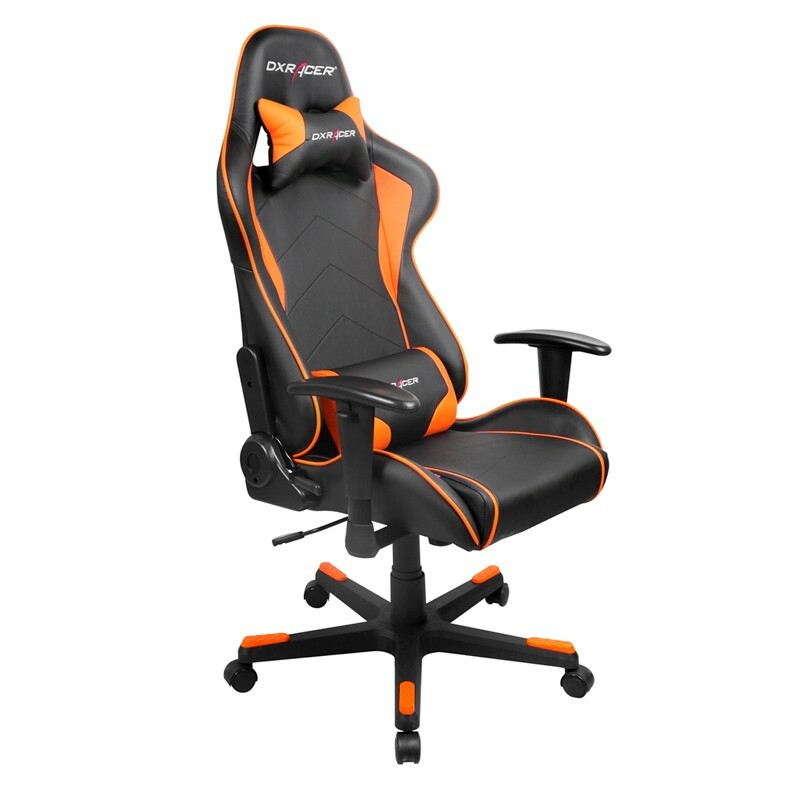 If you’re serious about your gaming or use your PC for work and play have a good look at a DXRacer because if you spend that much time at your keyboard, you may as well be comfortable.